So many blueberries, but only one me to eat them all! 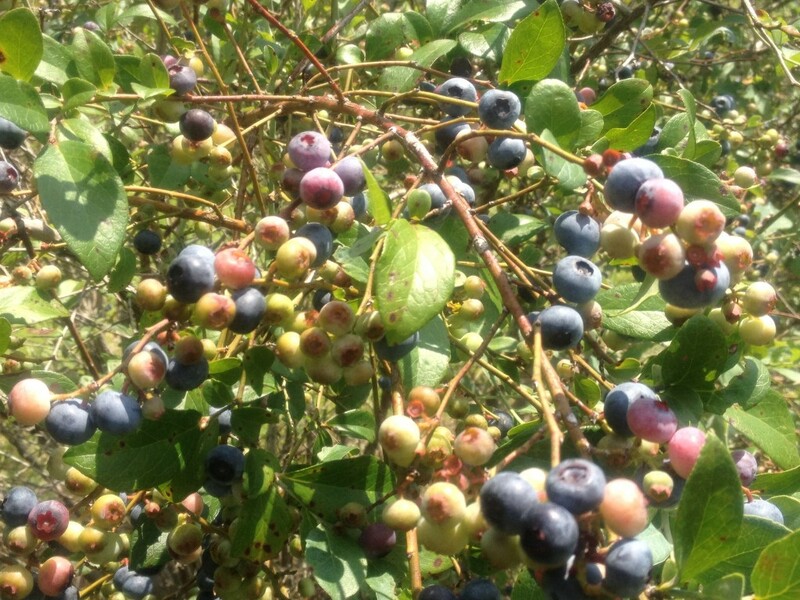 I made plans with a neighborhood friend, Sandra, to go blueberry picking. I had friended A&N Blueberry Farm on Facebook earlier this spring and watched their page for when they’d be opening. Last Thursday (while our older sons were in school) we drove all the way up to the town of Molino, Florida (about an hour away) and when we got to A&N, the farm was closed. I mean, really CLOSED! 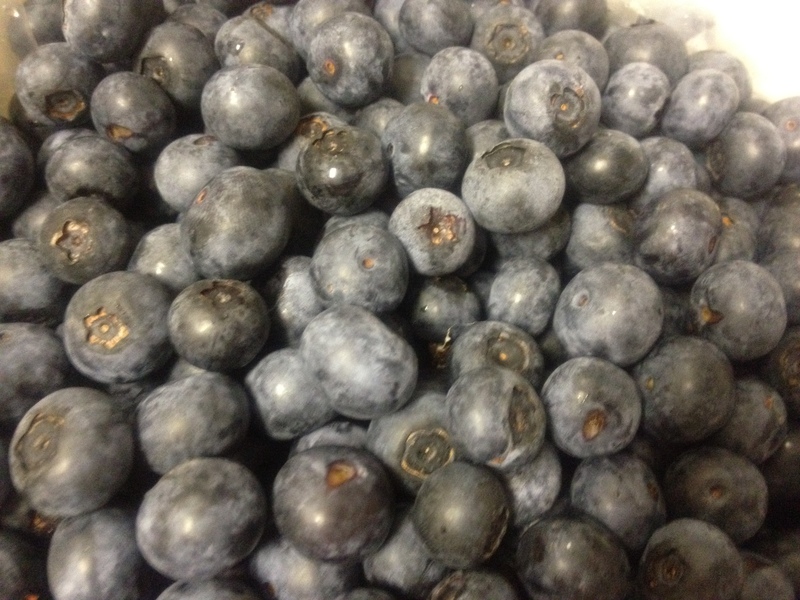 Due to unforeseen circumstances we will be closing the blueberry patch until further notice. We apologize for any inconvenience this causes. Please monitor our website for any further information. Please don’t judge our decision. Thanks to my handy-dandy smartphone, we learned that there were several other blueberry farms in the area, the closest one being only about 3 miles away. So we drove west just a few minutes and found Touchablue Berry Farm. 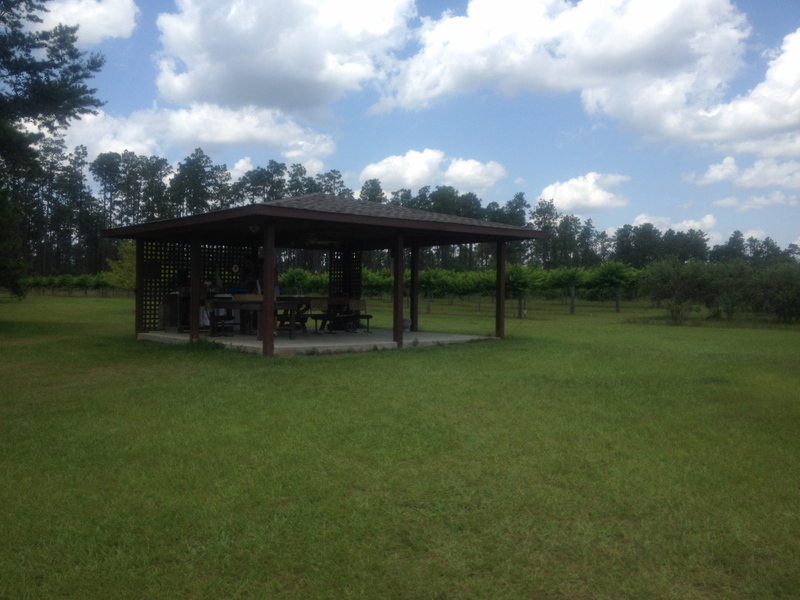 This lovely little farm is at the far western end of Molino Road in Molino, Florida. This farm is very well-groomed and has a European-styled "u-pick, u-weigh, u-pay" system. Much of our time there, the stand was unattended. You help yourself to one of these buckets that has a cushioned strap that you can hang around your neck. Take a bucket from the bottom shelf. They're lined with bags that you'll take with you when you're done. 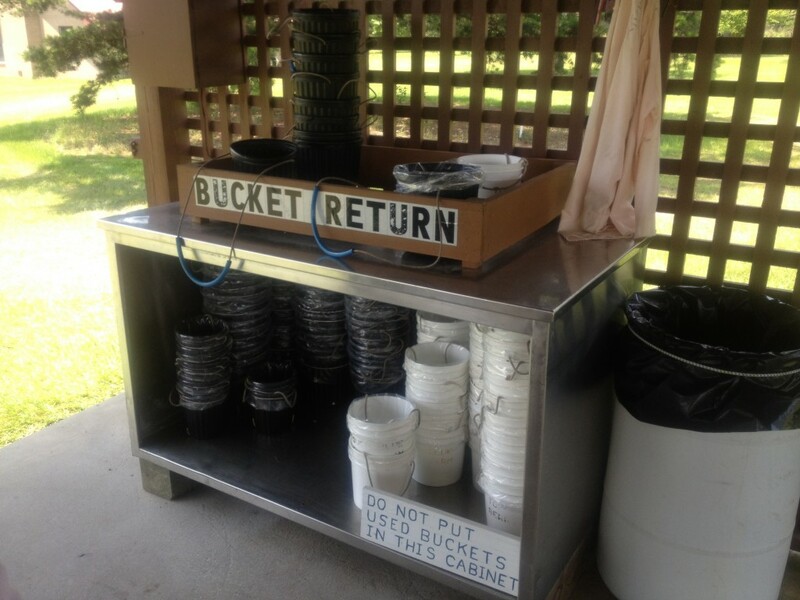 Return the unlined buckets to the top shelf. This young lady is modeling how you can wear the buckets so both hands are free for picking! Once you have your bucket, you simply head out to the fields. Unlike strawberries, where everything is down at ankle level, picking blueberries is easy for folks of all heights. The kids will stick to the lower parts of the branches, and we grown-ups can work at the higher areas. So much easier than strawberries. Sandra, her daughter and I had a nice morning picking berries. It took us about an hour to fill our buckets. We learned that there were several varieties of blueberries growing together. You could see the different characteristics of berries, such as bunched or individual. We’d taste the berries and there were distinctive flavor differences also. There was this one variety in particular that I ended up focusing on, it seemed to have that classic blueberry flavor that artificial flavors try to replicate when they’re making Pop Tarts and blueberry pancake syrup. But this was the real deal and the flavor was HEAVENLY! We were at the early end of the season, locals told us that the berries will be much bigger by mid-June. 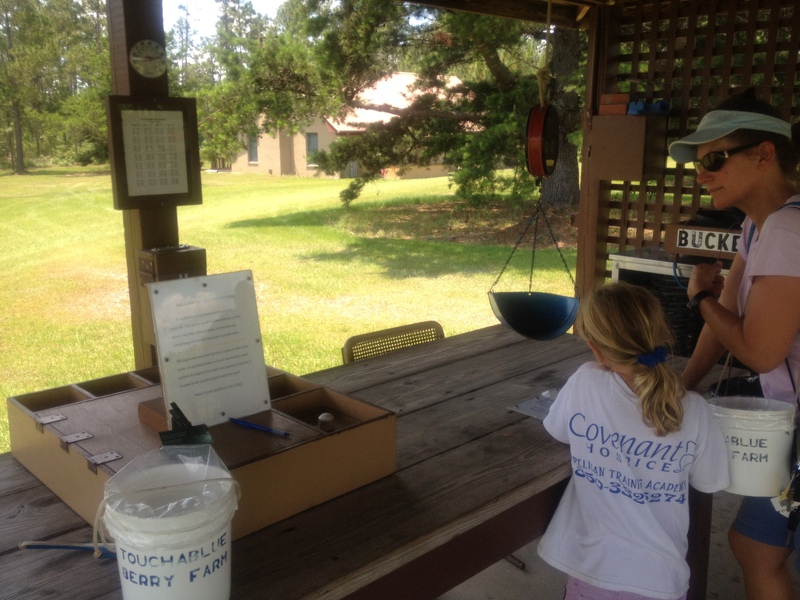 When we finished filling our buckets, it was time to weigh and pay. The weigh-and-pay station. So easy! 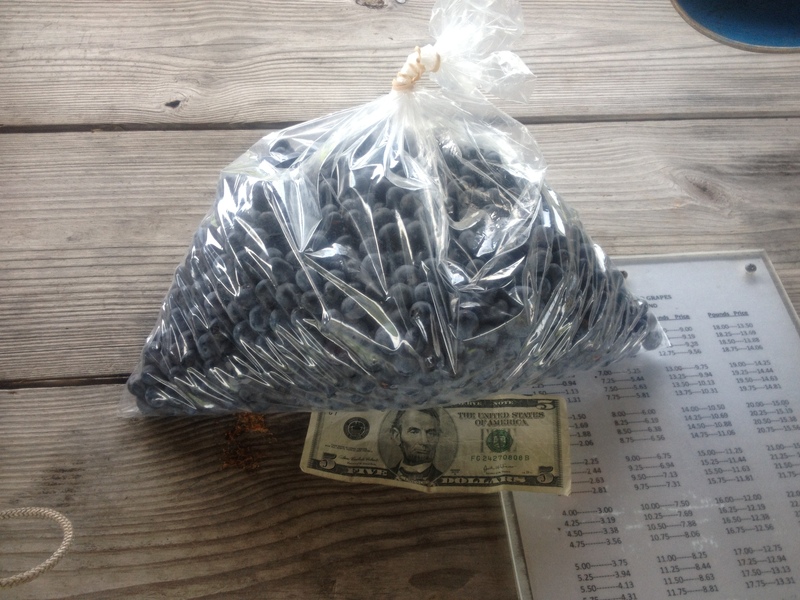 I ended up with about 5 pounds of berries, which came to $3.75 (only $0.75 per pound, wow!). I put a $5 bill in the box to compensate for the 1+ pound of berries I probably consumed while out in the fields. Sandra and I want to take our sons with us next week for MORE berries! I’ve frozen about half of my berries from last week, and I made a blueberry cobbler and blueberry pancakes with the fresh ones I left out this week. What will I do with even MORE berries? That’s easy: I’ll take some of them up north next week on our road trip to give to family, and I would like to try to make blueberry syrup with this recipe. 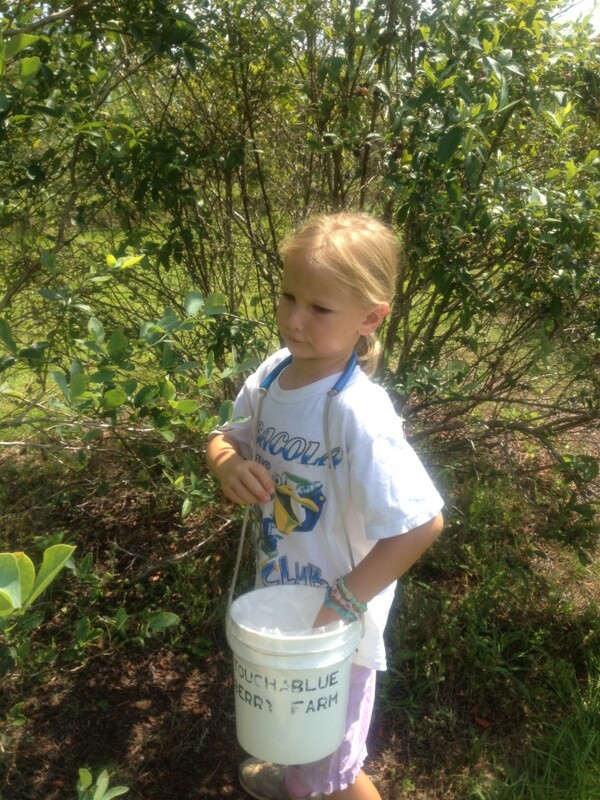 Touchablue Berry Farm is open during daylight hours every day in June and July for self-service blueberry picking.